For many years, academia was often considered to operate within an ivory tower, isolated from the real world and its problems. Furthermore, within this ivory tower academics carved out different rooms, building silos in which different subjects could be pursued without the interference of others. However, things have shifted over recent years and scientists, funders and decision-makers are increasingly breaking down these barriers and striving for interdisciplinary work that is relevant to the global challenges of today and tomorrow. Specifically, interdisciplinary work relates to more than one academic discipline, including both closely-related (i.e. different branches of biology [i.e. ecology and genetics]) and distantly-related (e.g. pairing social science with natural science) collaborations. The need for such work was neatly summarised by Bill Richardson, who pointed out that “we cannot accomplish all that we need to do without working together”. However, working together is easier said than done. Good intentions and endeavour are not necessarily enough to lead to successful interdisciplinary collaborations, as evidence by another famous quote: “Coming together is a beginning; keeping together is progress; working together is success” – Henry Ford. ESPA was perhaps slightly ahead of the curve of most funding bodies in striving for interdisciplinarity. In an effort to learn from this process, this blog summarises some of the pitfalls I experienced and observed throughout the ESPA programme. I give less attention to the rewards of working together (although there are many! ), but signpost two potential issues – language and self-interest – in the hope that future projects and programmes can avoid them. Language is a key barrier to interdisciplinarity. This is more than just researchers from different countries/continents speaking different languages and having different cultures (although that in itself can cause difficulties as any researcher trying to get foreign collaborators to understand the reporting necessities of their particular funding body will know!). Instead, I am referring to the fact that different subjects can use the same word to mean different things. “Of course!” (Whilst staring at four blue jumpers and, not knowing which to bring, picking one at random). Within each silo, most subjects developed their own language. Indeed, many publications focus on defining and redefining key concepts. For example, the term ‘ecosystem services’ were referred to as “the benefits people obtain from ecosystems” in the Millennium Ecosystem Assessment. This was refined in the UK National Ecosystem Assessment to “the benefits provided by ecosystems that contribute to making human life both possible and worth living”, and more recently to “nature’s benefits to people” in conjunction with the Intergovernmental Platform on Biodiversity and Ecosystem Services. The benefit of constantly redefining terms is that we incrementally approach a better definition. The disadvantages include constantly moving goalpost for those outside the subject who are trying to keep up-to-date with our subject-specific terminology and, in the cases most likely to cause confusion, the same word meaning different things to academics from different subject areas. Whilst this may seem a trivial issue, without overcoming it your interdisciplinary project will fail before it has even begun. It can also be a more difficult challenge to overcome than first envisaged. For example, the WISER project aimed to identify the degree of complexity of modelling that needs to be applied to map ecosystem services in a useful way. However, several long discussions were had amongst the interdisciplinary team before we could agree on a way to define model complexity! The second issue that I want to raise is that of self-interest. Understandably, we all have different passions and interests. In an interdisciplinary collaboration, this can be a very good thing, with each person bringing different expertise and a different way of looking at or solving a problem. However, when first coming up with an interdisciplinary idea, what many researchers overlook is that an interesting and exciting research question from the point of view of one subject area maybe boring and mundane to other fields you want to involve. Ecosystem service valuation studies sometimes provide an example of this. It might be very interesting for you to investigate carbon storage across social-ecological gradients (as I did in my PhD research). However, it is a rare economist that will find the valuation of the carbon an interesting academic exercise. One way to ensure every team member is interested in the research is to allow each field to pursue their own research questions. Merging research goals in this way may result in a project that is interesting to all parties, but is it cost effective or even feasible? Within the ASSETS project, we created a household survey that covered the data collection needed across several disciplines. However, we perhaps pushed the patience of survey respondents, many of whom dedicated an entire day to answering our survey! A similar issue arises with regards to the necessary sample size. An anthropologist may require a single case study in great depth, whilst a collaborating natural scientist might scorn at an apparent n of one, preferring to include 50 communities or more. In reaching a compromise, the team might agree to work to less depth, but cover 10 communities. Whilst this may harmonise the interdisciplinary collaboration, allowing data collection to proceed smoothly, it might cause issues when attempting to publish the findings. Should the paper be sent to an anthropology journal (where it faces being rejected as too shallow) or a natural science journal (where the small sample size may be criticised)? Furthermore, whilst success with the former journal is of obvious benefit to the anthropologist’s career, can the same be said for the collaborating natural scientist! Career progression following on from an interdisciplinary collaboration is not only a worry for established researchers. Early career researchers potentially have the most to lose from interdisciplinary research. 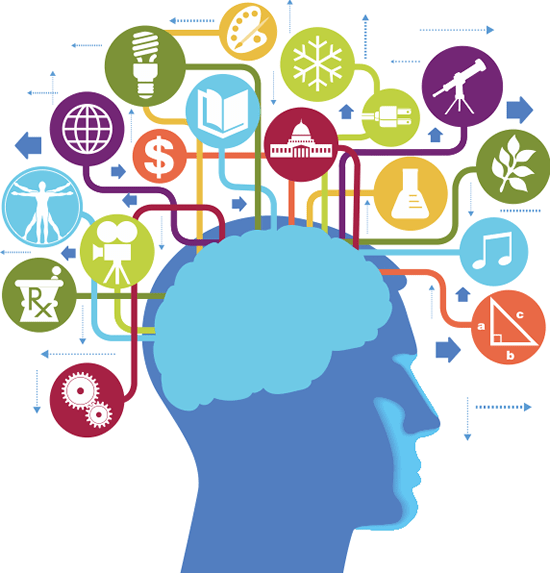 The benefits to the project of having an interdisciplinary post-doc (or more!) running the day-to-day activities and research are obvious. Failure to involve someone in this role risks the project fracturing as people pursue their own self-interests or simply drift apart due to difficult communication streams. The person hired in this role adds cohesion to the interdisciplinary project and they themselves develop a unique set of skills – in ecosystem service research, this might comprise of a unique blend of natural and social science. However, what is the next step on the career ladder for this post-doc? What grants/jobs can they apply for? What department should they now sit in? Where is their subject home? This highlights a risk of becoming a jack of all trades but a master of none. Following on from ESPA, I found myself in such a situation. I did a degree in biology, a PhD in geography and an interdisciplinary post-doc in a biology department. As a result, I was perhaps too ecological/geographical to apply for jobs in many biology departments, and too social science-focused to work in physical geography, but too natural science-based for human geography. Whilst above I have highlighted many of the pitfalls of working in interdisciplinary groups, I hope that I have not put you off. In my experience, interdisciplinary work is amongst the most interesting and enjoyable work you will ever do and I wholeheartedly recommend it. Each of the pitfalls I have raised above can be solved in a multitude of ways, particularly if you are aware of the issues when establishing the collaboration. To truly make the most of interdisciplinarity, subjects must co-produce research questions where the combined research is of greater interest than the sum of the individual subject-specific parts. Such research will benefit all academics involved, but also wider society as the outcomes are more likely to be applicable to the complex and interdisciplinary world that we are all a part of. Dr Simon Willcock (@Simon_Willcock) is a Lecturer in Environmental Geography at Bangor University. He was involved in two different ESPA projects (ASSETS and WISER) as well as other on-going interdisciplinary projects (e.g. ARIES). This blog was originally produced for the Ecosystem Services for Poverty Alleviation programme and is available here. What is the semantic web, and why could it be a game changer for ecosystem services?